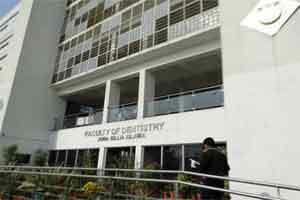 Jamia Millia Islamia has now announced the rescheduling of its prestigious entrance exam, for the course of Bachelor of Dental Surgeries; shifting the date to June 25. Treading with caution after the recent uproar in the media, and hence, the retest of AIPMT exam, the university is not leaving the fate of students up to any chance. The university’s own preliminary inquiry into the allegations of leak, has hinted a possibility of breach, with respect to the entrance test. The new admit cards will be issued to the students appearing for exam earlier on June 14. “Keeping in view the interests of the students who took the entrance examination and to maintain highest degree of propriety and credibility of the examination process, the university administration has decided to cancel the earlier test,” Mukesh Ranjan, spokesperson for Jamia Millia Islamia, said. “Fresh admit cards will be issued to all the applicants for these two academic programmes. Necessary details will be put up on the university’s website and will also be conveyed to every examinee through e-mail and SMS,” Ranjan added. The Jamia University will go on an extensive drive to immediately notify the student personally, on this recent important development. Jamia intends to inform the students by email and sms on the postpone date of examination. Also, necessary details will be put on the university website. Jamia has taken the initiative to ensure fair practices and administration for the tests, including BDS. “We outsourced a few of tests to computer maintenance corporation, a subsidiary of Tata consultancy services to ensure smooth conduct. The paper was set up internally,” Ranjan said.